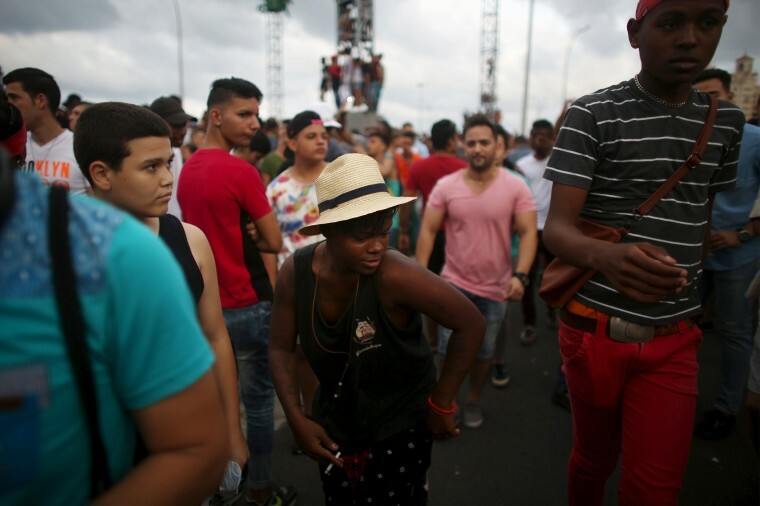 Havana welcomed the first major American concert in Cuba, when Major Lazer performed a free show along the Malecon on Sunday. 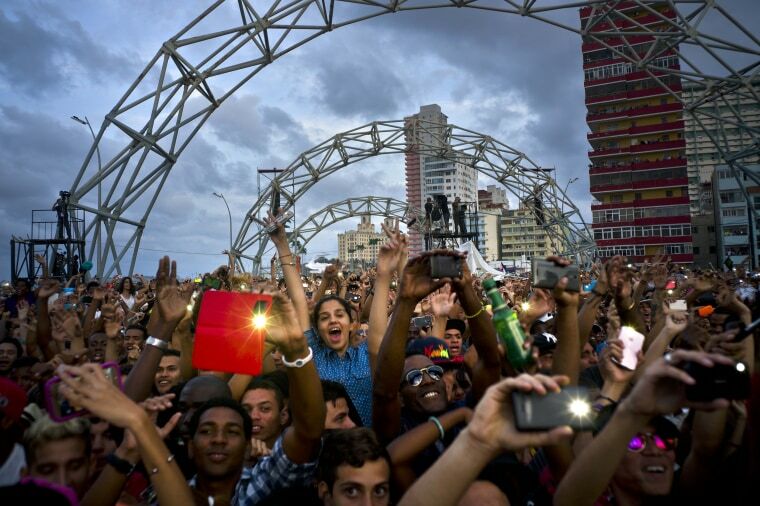 Fans dance and take pictures with their mobile phones during a free concert by the U.S. electronic music group Major Lazer in Havana, Cuba, on March 6, 2016. Jillionaire and Diplo, waving a Cuban flag, with the U.S. electronic music group Major Lazer perform during the free concert at the Anti-Imperialist park in front of the U.S. Embassy in Havana on Sunday. 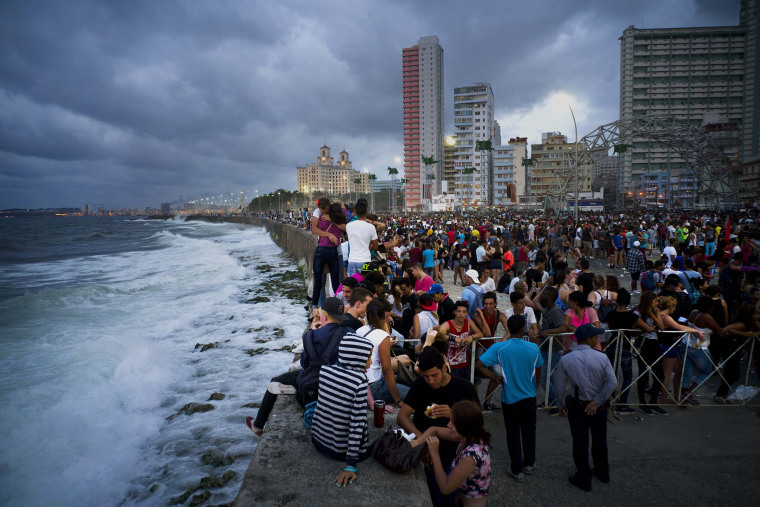 People watch the performance along the seafront Malecon in Havana on Sunday. 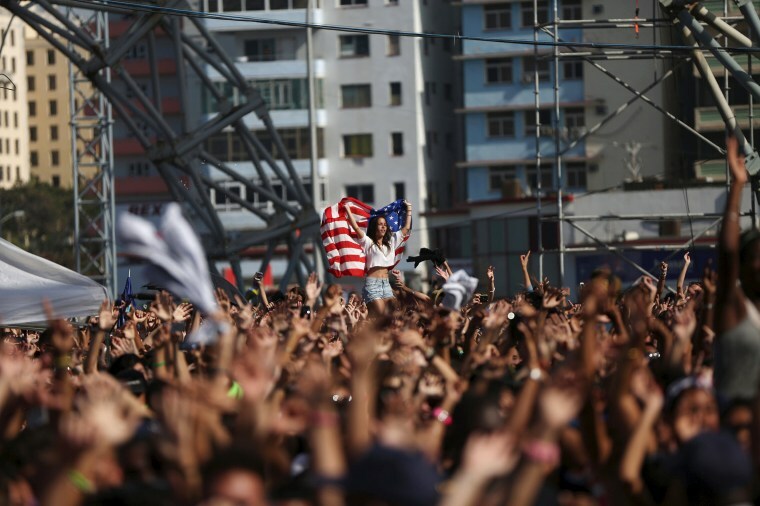 A woman holds a U.S. flag during the show in Havana on Sunday. 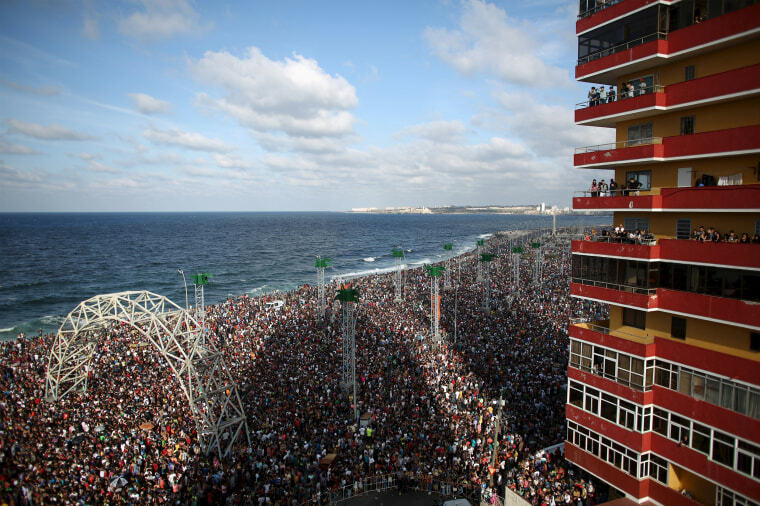 A large crowd gathers at the seafront Malecon for the performance in Havana on Sunday. Tattoo artist Javier Garcia, 25, dances during the show in Havana on Sunday. 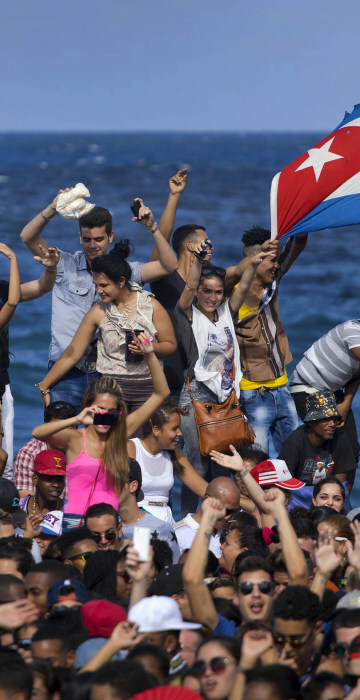 Fans dance on Havana's seafront during the concert in Havana on Sunday. 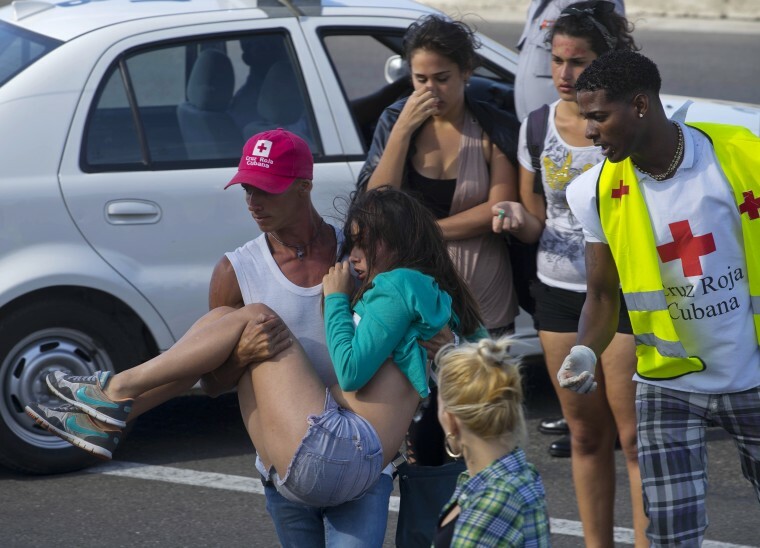 Members of the Cuban Red Cross help a young woman during the concert in Havana on Sunday. 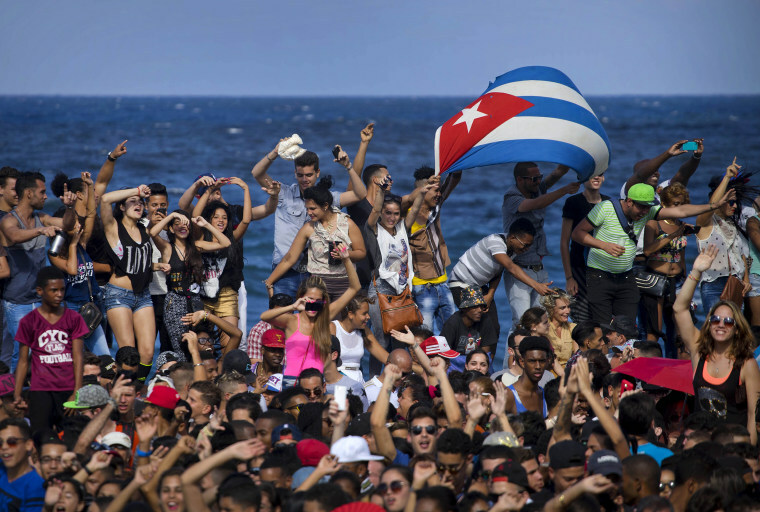 Fans display a sign during the concert in Havana on Sunday. 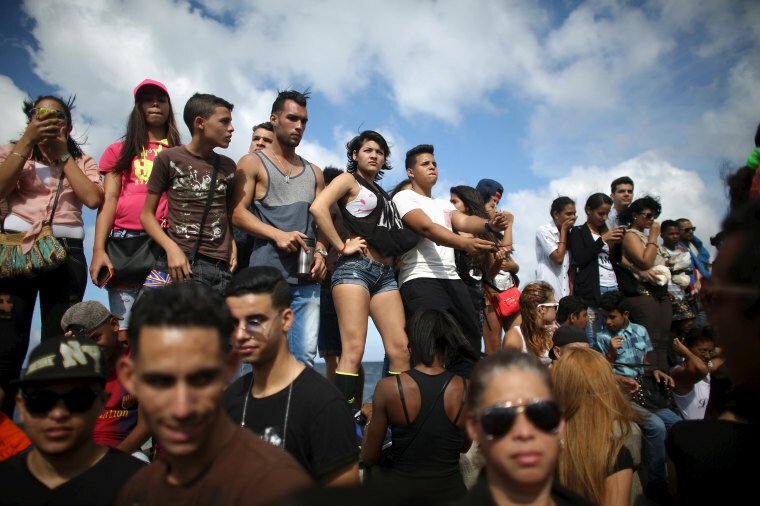 Fans enjoy the afternoon at the Havana seafront after the concert in Havana on Sunday.